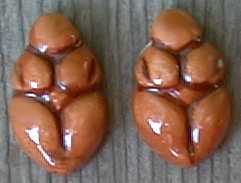 These ceramic Goddess beads are made in Peru and have nice large beading holes (3-4mm). 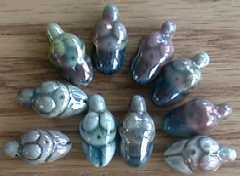 Please allow for some variation in color and size, especially on the Raku beads. 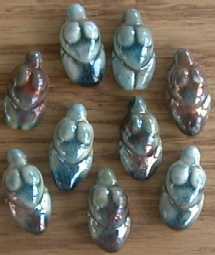 We try to keep a running stock of these Goddess beads, but if you want a large order, or if we are running low, we can usually restock and get your order to you within two weeks. Ordering is easy. Just send an email to: orders@isleofbeads.com with a list of the Goddess beads you want (and anything else from the site you would like to order). We will send you your total and payment instructions. We accept PayPal, personal checks, or money orders (payable to Day Dreamers). Click on any image for a larger picture. 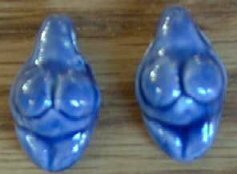 18x9mm; great size for earrings! 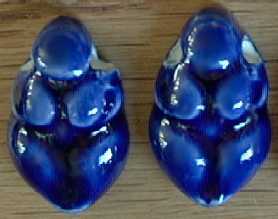 We have many matching high-fired beads in the High-Fired section. 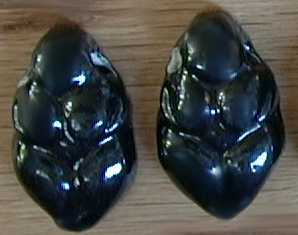 ~17x9mm; great size for earrings! 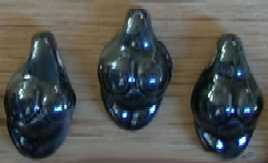 ~18x9mm; great size for earrings! 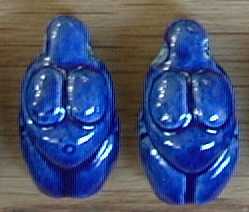 ~23x13mm; our most popular goddess bead!